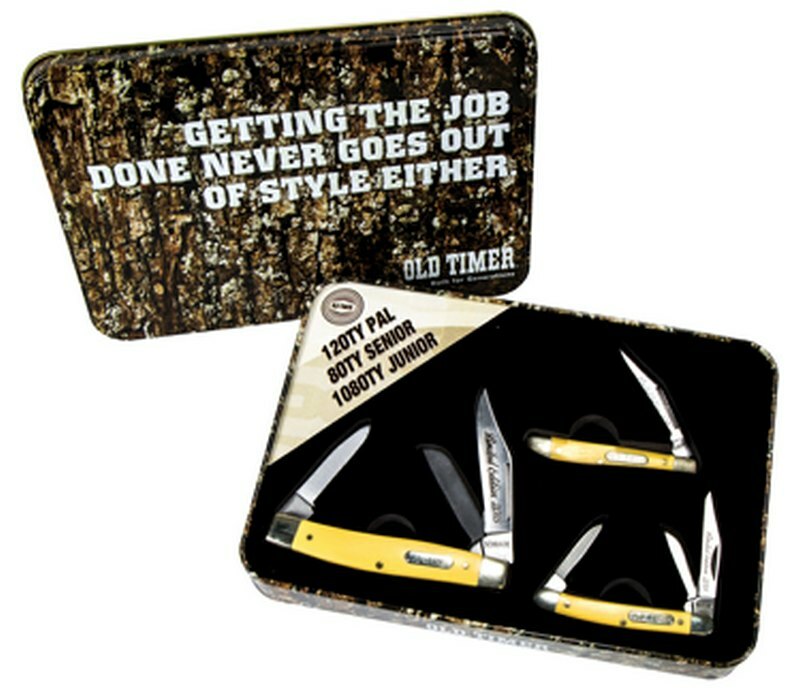 The Old Timer Limited-Edition Pocket Knife Set contains three vintage-style pocket knives: one Senior Stockman three-blade knife, one Junior Stockman three-blade knife, and one Pal single-blade knife. 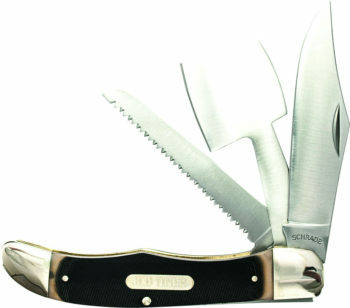 All blades are made of high-carbon stainless steel, and open with nail pulls. 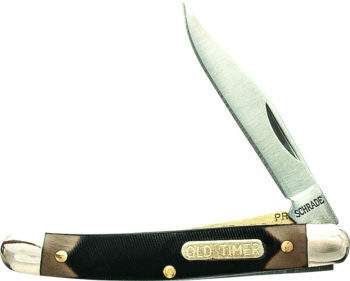 Old Timer brass-pinned, yellow synthetic handles and nickel silver bolsters give them a retro look while providing a solid grasp on the knife. 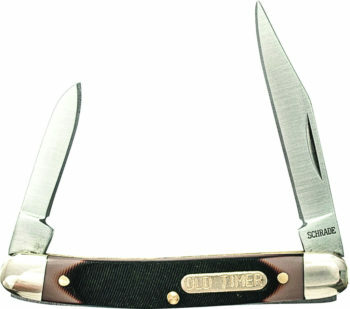 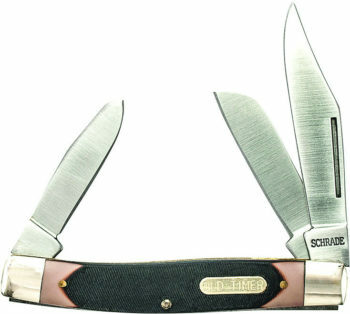 This Old Timer Limited-Edition Pocket Knife Set comes with a collectable gift tin.